Next Generation Flash Heads can connect to all the Lumedyne Power Packs. They have built in head cables and the HERC has a 3 to 7 foot coiled cord. The body of the Next Gen’ Heads looks a lot like the Classic Heads because the lightweight round design is so easy to handle and pack for travel. Those photographers who carry their Heads on a camera bracket appreciate that these are lighter than most other options. The HERC's head cable is a little longer than three feet before it is stretched and can stretch to longer than seven feet before the cable begins to get "stretched out". 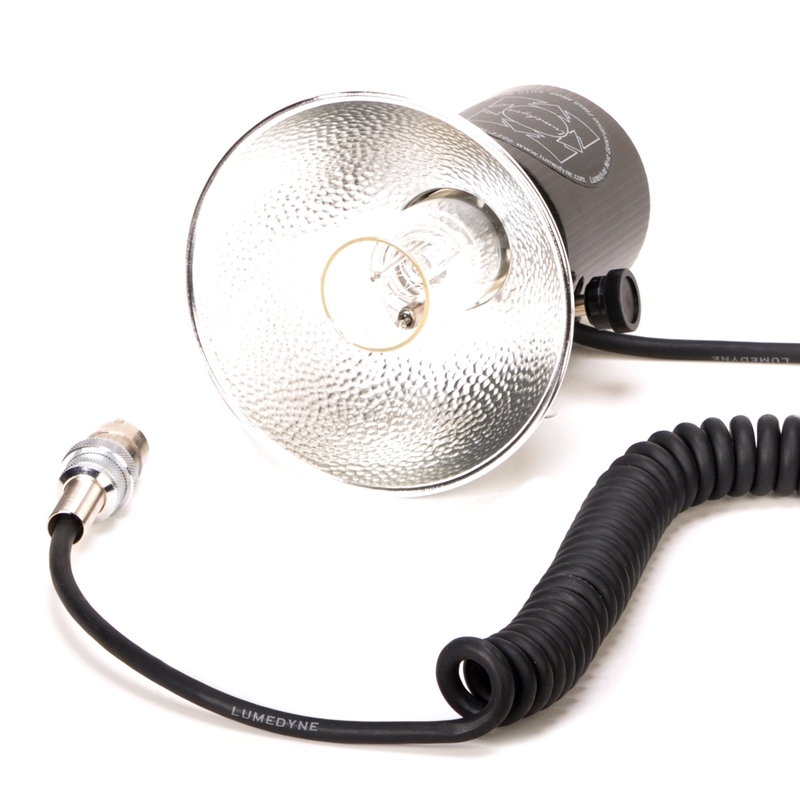 It also includes an 800ws Flashtube (AFTE) and a separate Modeling Bulb (AMBR) protected with a 5 inch reflector (ARST) and two diffusor covers (ADC1 & ADC2) plus a metal snoot (ASNT).